Herbert G. Strelitz, III is a shareholder of the firm of Greenberg & Strelitz, P.A. Mr. Strelitz has been a member of the Florida Bar since 1997. Mr. Strelitz’ litigation experience includes personal injury matters, commercial litigation, business litigation, contract dispute litigation, real estate litigation, title insurance law, real estate contract and lease negotiations, co-tenancy agreements, real estate financing, commercial transactions, landlord-tenant disputes, evictions, security deposit disputes, construction lien litigation, collections, replevins, judgment enforcement, and garnishments. Mr. Strelitz represents real estate brokers and agents in matters involving Florida’s real estate brokerage and agency laws. 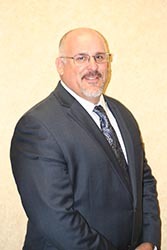 Mr. Strelitz is a principal of All City Title Company, and oversees and conducts residential and commercial closings for All City Title Company. He also works with lenders and individuals in the purchase, sale, and financing of both residential and commercial properties.